Do you like the new theme? I think it’s a bit better. I started putting together my Legacy Points sheet in Excel today, I’ll post that up later on. Alexander has 14 days until he ages into an Adult. Alex and Naomi’s cool friend Ezekiel moved into the Legacy Lot, bringing $2,500 with him. He also came with his own Laptop and Guitar, which is really handy because they’re expensive. Ezekiel is the latest roommate. He’s a Roadie in the Musical career stream. (It says on the SimsWiki that he’s in the Journalism field, so I’m thinking StoryProgression switched him for some reason.) 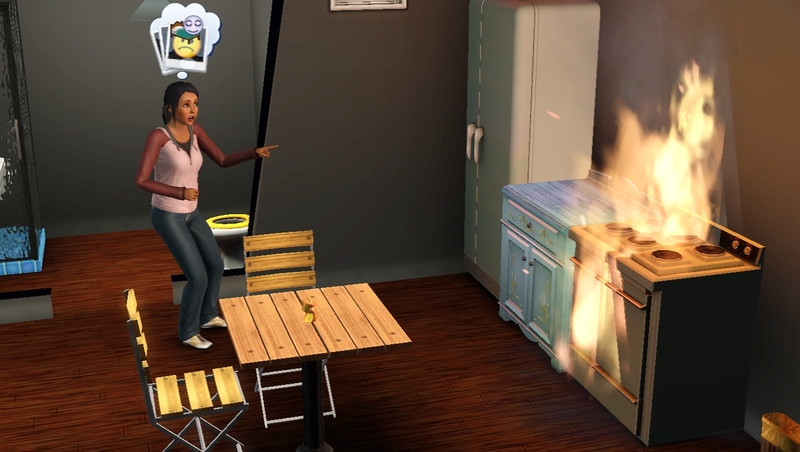 Naomi started a fire, but met a Fireman, so that’s okay then. One of the drawbacks of the Criminal career stream is getting arrested at work. Poor Alex, landed immigrant, he hasn’t even had a chance to apply for his Sim-Nationian citizenship status yet and now he’s got a criminal record! I guess Crime doesn’t pay… at least, it doesn’t when you’re not at work. 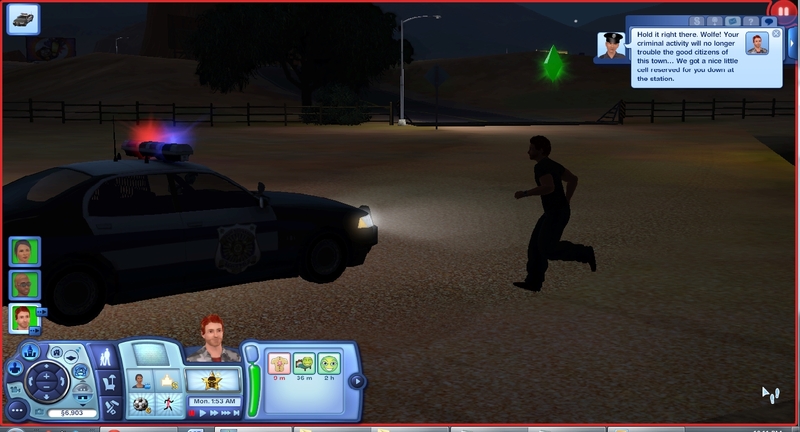 Alex got a promotion to Getaway Driver! Ezekiel started a second fire repairing Pansy’s broken TV. 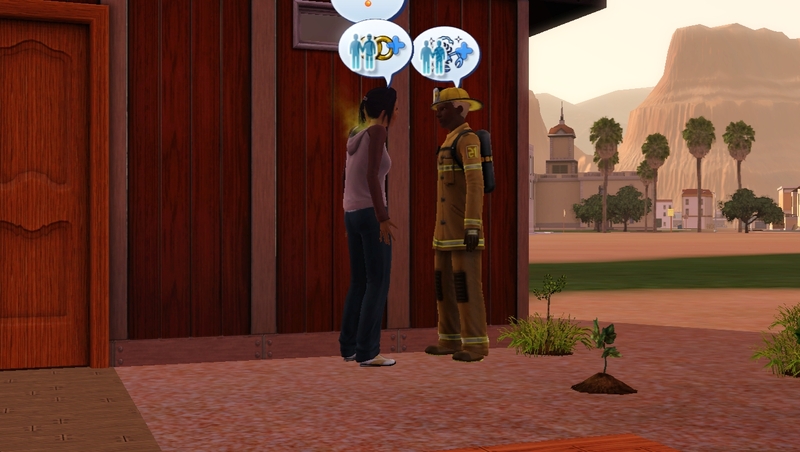 But they got to meet another fireman so it’s all good. (Is it politically correct to say firewoman or fireperson?) Naomi turned into an Elder. It’s kindof sad, I didn’t even realize she was that much older than Alex. Naomi had a crappy party. 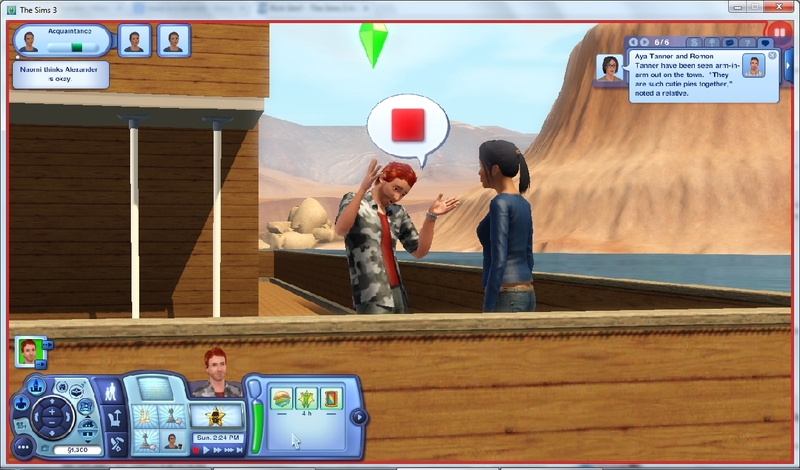 Alexander has his first kiss with the firewomanperson, Roxanne Tang. Could this be true love or something? 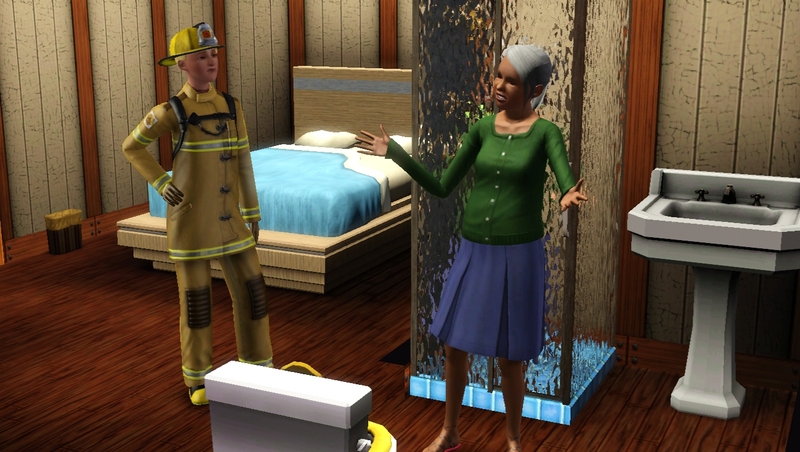 Naomi is now a senior citizen, so she retired from her Science job. 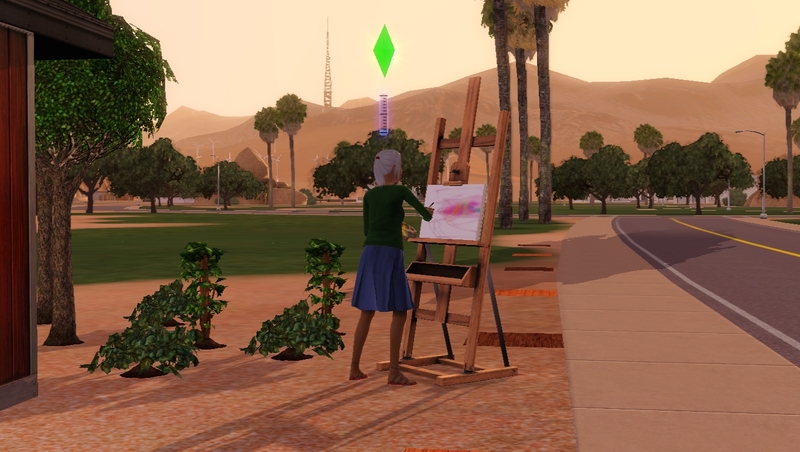 She’s gonna take up Painting and Gardening full-time. Painting, because I remembered somebody needs to paint the Founder for a Legacy point. Gardening, to save money on groceries. So Ezekiel is in a weird love triangle. He’s dating his boss Yolanda Shaw, who had a baby with Lennon Sosa, even though he’s married to Beulah Patterson. Ooh, how tawdry! 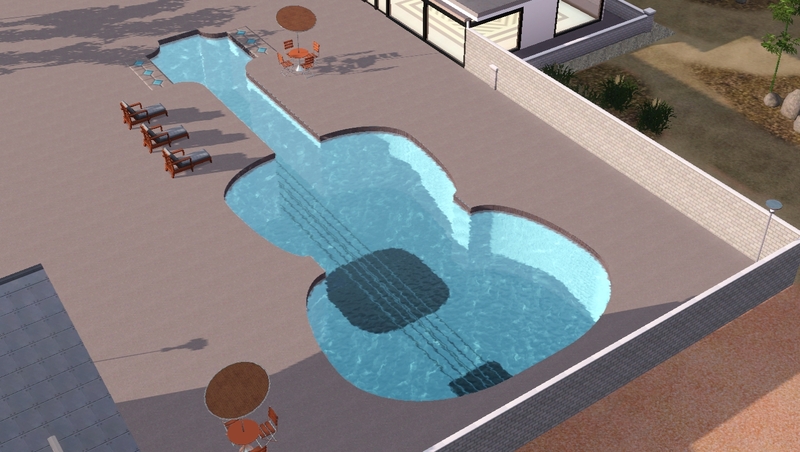 Anyway, she (Yolanda) lives in a mansion with a Guitar-shaped pool. And then he (Ezekiel) asked her to marry him! The Repoman cometh! He took away the porchlight, so I need to remember to stay on top of the bills. Ezekiel aged up to Adult right after work. And then he and Yolanda got bii-zaay! 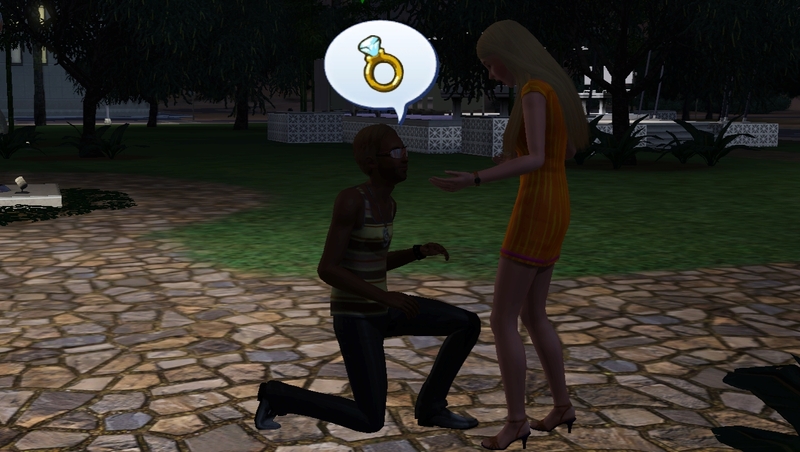 Alex asked Roxanne to become his girlfriend! Now they’re going steady. Could it be love? Ezekiel and Yolanda continue to share funtime, whenever the wee toddler Stewart isn’t around. 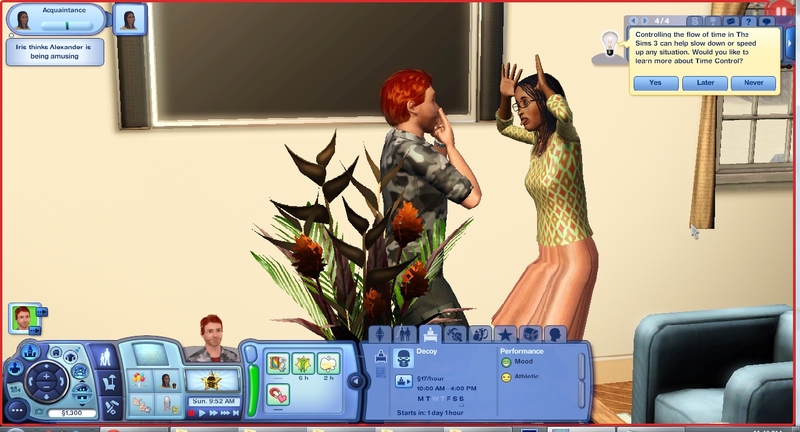 Naomi walked in on Alex in the bathroom. 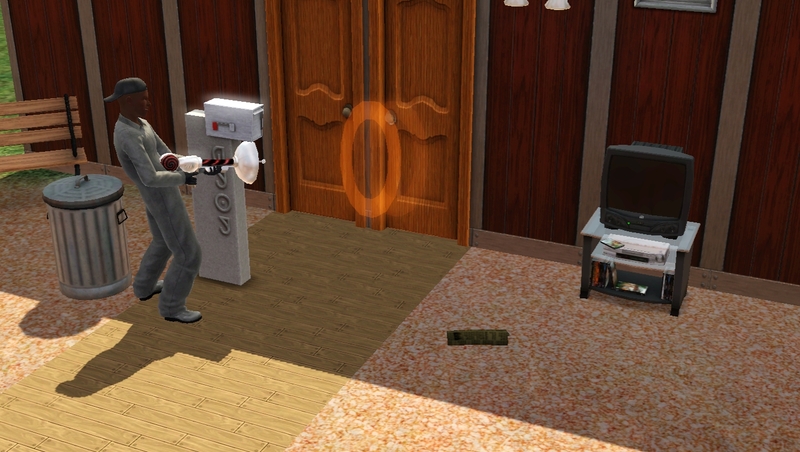 I need to put in more toilets..
Alexander is given an important mission by his father.. err, Godfather. “Do this for me, my son, and you will be greatly rewarded”. After dropping the bribe off at City Hall, Alex is promoted to Bagman. Halfway up the ladder of Crime! Also he upgraded his Charisma to level 8. Ezekiel finally repaired the broken TV. A brand new TV is worth $500, but that’s how much she paid for repairs! Why? Also Ezekiel got promoted to Talent Scout. It has nothing to do with the fact that he is sleeping with the Roadie! 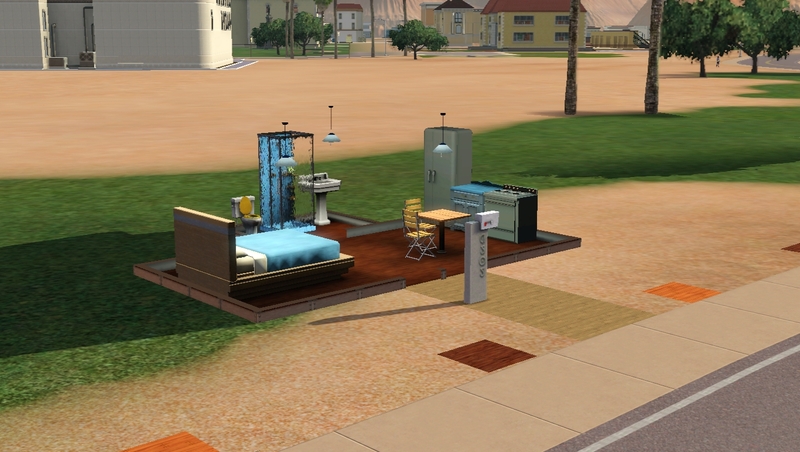 I had to do a bit of prep work before moving Alexander into Lucky Palms. As I mentioned before, I’m going to install a new expansion for every generation. Some (if not all) of the expansions come with new Community Lots, so I had to free up some space. 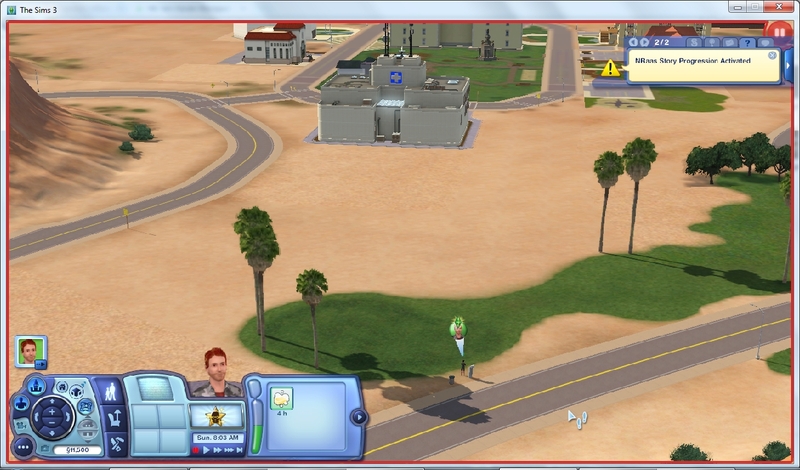 In Edit Town I designated all of the empty Residential lots as Small Parks, to prevent Sims from moving into them. 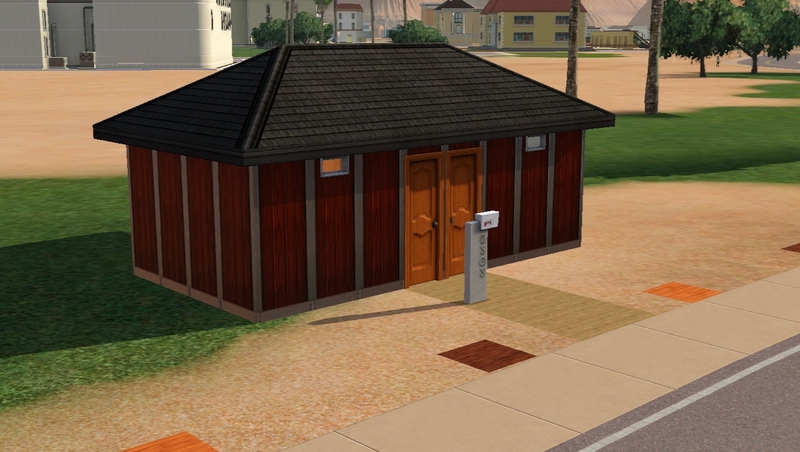 As well, I placed the Lucky Simoleon Casino on one of the empty 60×60 lots. 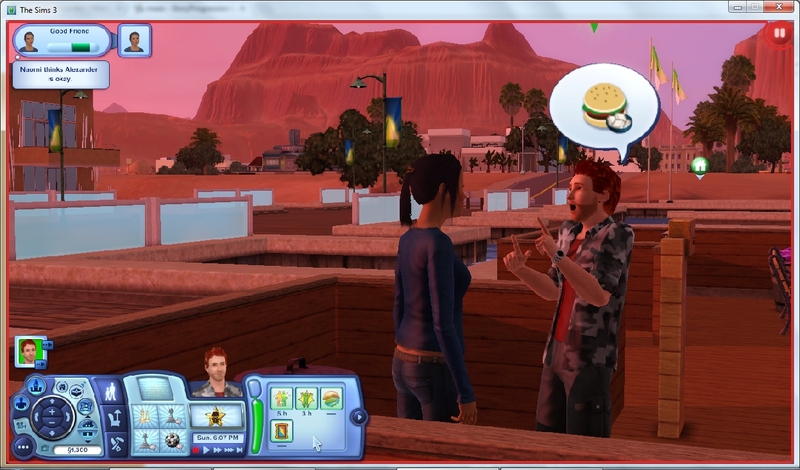 I didn’t even know Sims could gamble, so I’m excited to try it out! 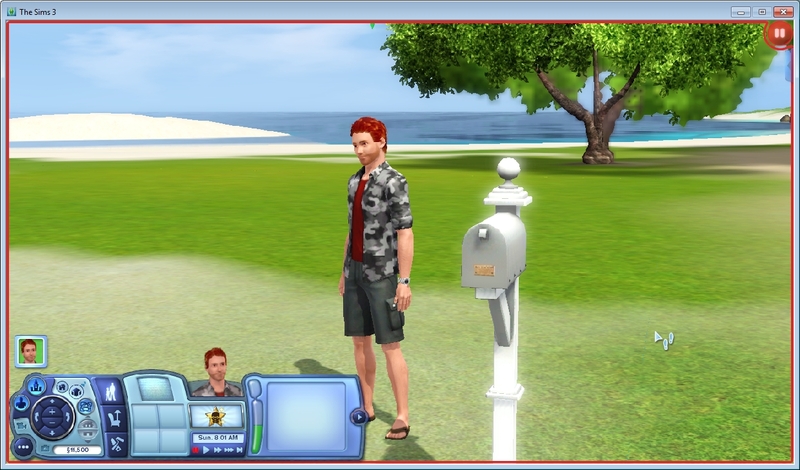 I found the NRaas was giving me new messages about Townies every few seconds, so I tweaked these settings. Lastly, Alex bought his 50×50 lot. For some reason he had a crapload of cash leftover, so I had to use the cheat menu to reduce it to $1,300. Alexander has 21 days before he ages up to an Adult. He is exhausted from his flight, but eager to meet his new neighbours and get some roommates. He meets Naomi Nita on a cool-looking houseboat, and uses her computer to apply for a job in the Criminal career. She is his bestest friend! The two have a sleepover and spend all night talking. Alex gets wind of a police threat and is promoted to Cutpurse! Naomi moves into the Legacy lot, bringing with her $5,000. She’s a Fertilizer Analyst, which will help bring in money. Unfortunately, neither of them have a house to sleep in, so they spend the night at the Gym. Naomi remembers that she is good friends with Pansy Northrop, so Alex and Naomi sleep at their place. They’ve got two beds and a fridge, there’s plenty to spare. Too bad I didn’t choose the Mooch trait, because Alex is living on a dime! Alex tries to get to know Pansy, but she’s not having any of it! Alexander being a polite guest. Alex and Naomi both have the day off. Alex tries to get his Athletic skill up at the gym while Naomi is at the library studying Gardening. I haven’t found any seeds or plants in the neighbourhood. Alex met the charming Lola Lancaster. I’m guessing she doesn’t own a crib for that baby! Alex slept at her place but the baby kept waking him up. Your baby is on the floor. 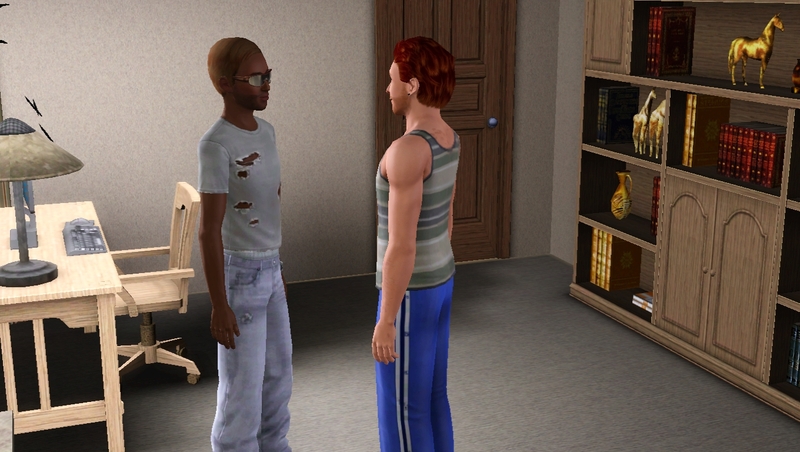 Alex got to know Pansy’s roommate, Ezekiel Reid. He’s a wicked cool frood! 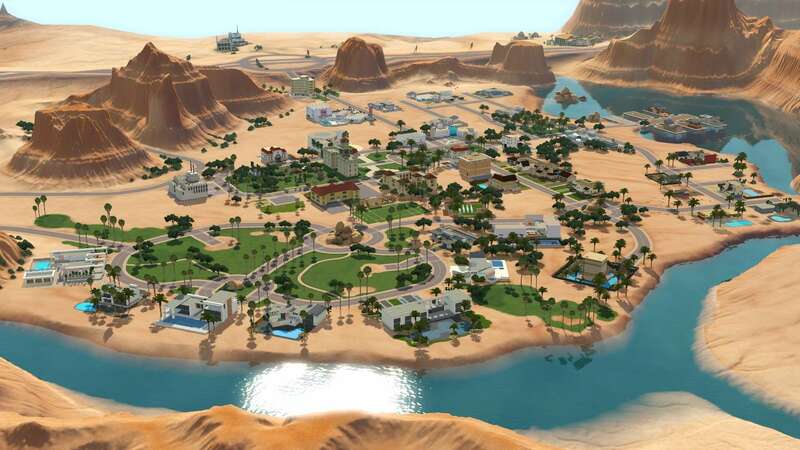 The Legacy Lot in Sunlit Tides. There’s this gigantic lake right in the centre of the town, so you gotta drive around it every single time you want to go anywhere. Everything is so spread out it would be impossible to get anything done. It just seemed like a terrible hassle, I can’t imagine what EAxis was thinking. 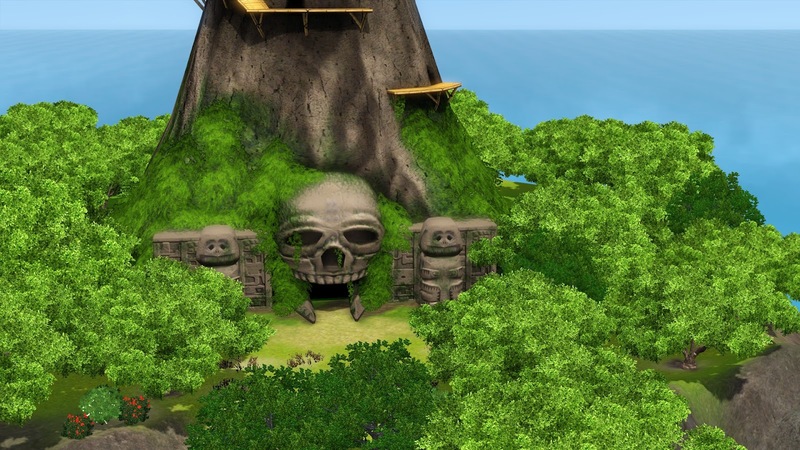 But I was really excited when I heard that the Criminal Hideout was inside a volcano shaped like a skull. How cool is that!? Where’s Dr. Evil’s secret volcano lair? Here’s the problem: the rabbithole is at the top of a mountain, and the nearest road is at the bottom of the mountain. So even if you get to work before 10am, it takes an hour of Sim-time to run up it and you’re marked as late for work. Poor little Alex, with his heart set in the criminal career, would be wasting 2 hours a day climbing Mauna Loa and gets his pay docked for it! Hardly a fair trade-off. Iris Adams, a new friend. Even though Alexander met some friends, and the scenery was just so beautiful, the cons definitely outweighed the pros. 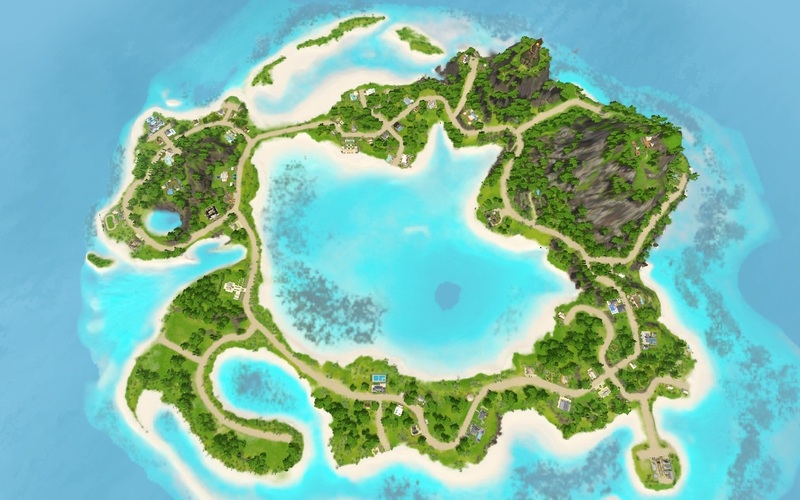 Next stop: Lucky Palms!